Be inspired by the new-look Organic Gardener magazine. 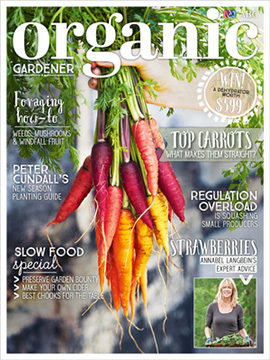 In the latest issue of Organic Gardener magazine, we reveal the secrets to growing straight carrots and how to keep your strawberries pest and disease free. 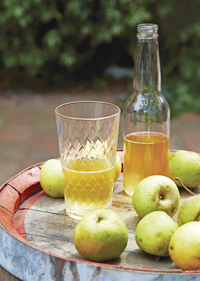 Plus, discover what to plant now and learn how to brew your own delicious apple cider. Inspiring stories, practical projects and expert organic gardening advice. ABC Organic Gardener —where naturally great ideas grow. ABC Organic Gardener magazine available online. Want to grow your own sweet, juicy strawberries? Celebrity cook and keen gardener Annabel Langbein shares her expert advice. Justin Russell reveals how a gardening trial managed to bust a well-worn myth: that too-rich soil causes carrots to fork. Plus, his top growing tips. Peter Cundall provides the ins and outs for the cool season garden – what vegies need to come out and the best plants to replace them. 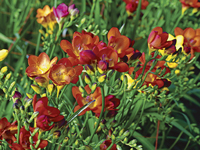 Old-fashioned freesias make a pretty and powerfully perfumed addition to any garden, writes Karen Sutherland. There’s lots to do in the autumn garden, plus how to thin seedlings and save cucumber seeds. Penny Woodward looks at pyrethrum insecticides – what they contain, how they work and a new organic option..
Alecia Wood meets the Slow Food Movement founder. There’s plenty of delicious produce ready to be plucked fresh from the patch, says Justin Russell, while Cathy Armstrong puts the late summer bounty to good use in the kitchen. Max Allen shares his step-by-step guide to making your own tasty home brew. 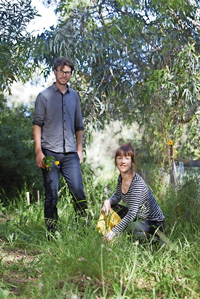 Dual-purpose chooks can provide you with ethically raised organic meat as well as eggs. Jessamy Miller names the best breeds and how to get started. A buyer’s guide to compost, manures and fertilisers. By Penny Woodward. Our seven-page foraging special: The Weed Forager’s Handbook author Annie Raser-Rowland lists the best edible weeds to look for, Jessamy Miller shows how to make the most of street-side abundance, while Rohan Anderson ventures into the forest in search of mushrooms. Organic matters - the latest news and events. Organic market - products for a rush-free life. Organic plant - ornamentals with an edible twist. Organic advice - our experts answer your gardening questions. Organic library - the latest books. Losing the plot: Unbasic Instinct - while Simon Webster knows his edible plants, when it comes to natives, he admits to being a bit of a botanicus ignoramus. Competition - WIN an Excalibur dehydrator worth $599. Reader event - Join Organic Gardener on April 22 for a seasonal lunch prepared by Martin Boetz at Mickey Robertson’s Glenmore House in Camden, NSW. 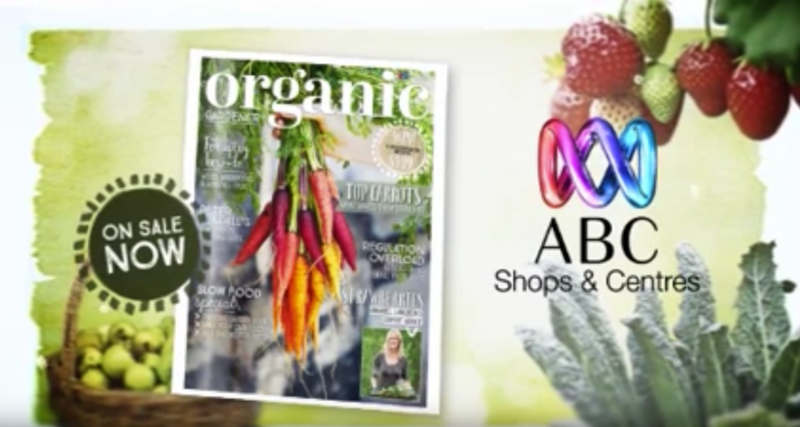 Subscription offer - subscribe to Organic Gardener magazine for your chance to win a year’s worth of Seasol (up to 10 litres), worth $80! Gardening on your ABC - Your ABC local radio and TV gardening guide.